Rio Rancho is the largest city with the biggest economic impact in the state of New Mexico. Rio Rancho is known for being the largest city and economic center of Sandoval County, and the fastest growing city in New Mexico. Rio Rancho is home to the J&R Auto Museum, about 40 public parks, a number of bike trails, hiking paths, and open spaces. Rio Rancho lawyers take cases in immigration, real estate, personal injury, DUI, and divorce among others. Lawyers in Rio Rancho are familiar with local court proceedings and are able to successfully consult you one any legal issue. 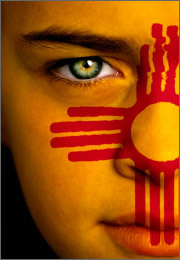 Rio Rancho lawyers regularly receive case referrals from Albuquerque lawyers. One of the most growing legal issues in Rio Rancho Mexico is immigration. Since Rio Rancho is such a large and growing city in a state that is very close to the border, Immigration has been an issue. If you are facing deportation, want to become a legal resident, or have any other immigration-related issue, contacting a New Mexico Immigration lawyer to help you in your case would be helpful. LegalMatch is the easiest way to select a pre-screened Rio Rancho lawyer. LegalMatch offers you pairing services with bar certified lawyers who specialize in many different areas of law to make sure you are getting the best Rio Rancho lawyer available. You can do preliminary research on your case, check prices, and view tips on selecting the best lawyer for your needs. The best part is that everything is backed by LegalMatch’s customer satisfaction guarantee.